City View @ Rosa Burney's Tenant Association celebrated it's one year anniversary with a 2 day event celebration. In one year, the City View at Rosa Burney Tenant Association has brought together tenants, allies, and the Mechanicsville Community. The tenant association organized to keep City Views at Rosa Burney affordable by getting a HUD contract for 7 years. A very eventful and successful year! The celebration kicked off last Wednesday at 4pm with Bingo with Councilman Andre Dickens. Tenants gathered for numerous rounds of competitive Bingo with Andre Dickens calling out the lucky numbers. A great time was had by all! The anniversary celebration continued into Thursday. Tenants and allies gathered at the Dunbar Center for the Anniversary Party. The agenda was facilitated by the Tenant Association President, Deborah Arnold. There was space for tenants to discuss housing and community issues, followed by guest speakers. Becky Rafter, from Georgia WAND, spoke about Voter Registration. Maggie Kinnear, from Atlanta Legal Aid, spoke about what tenant's legal rights and what to do if they are being violated. After speakers we all had the opportunity to get to know each other and enjoy some anniversary cake. Congratulations to City View @ Rosa Burney's Tenant Association for building community power for over a year! We can't wait to see what the upcoming years hold for City View @ Rosa Burney's Tenant Association! 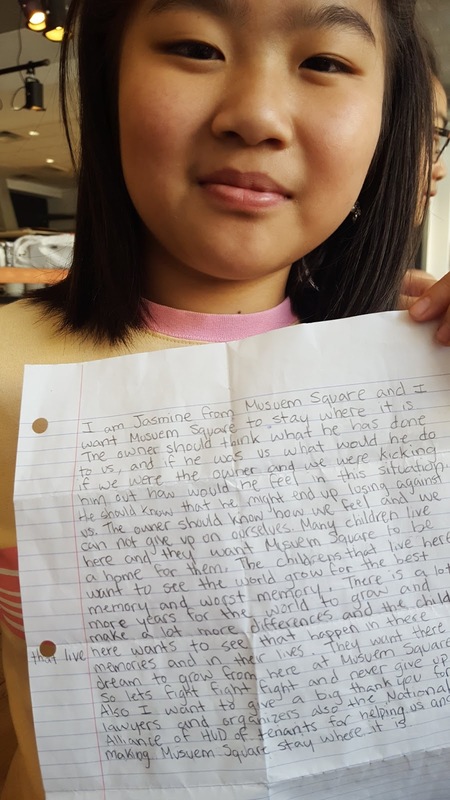 Will the Chinese Be Evicted From DC Chinatown? 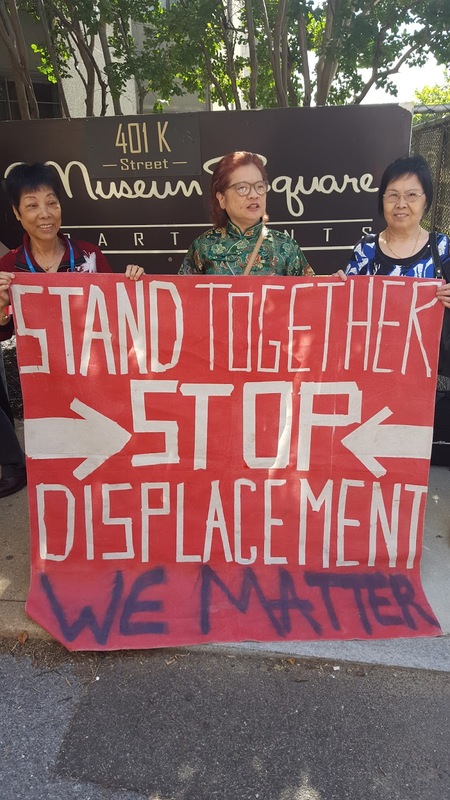 Tenant leaders from across the US joined Museum Square Tenants today to support tenants at Museum Square in DC’s Chinatown facing displacement to make way for luxury condos. 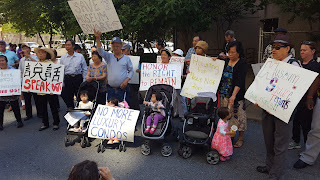 Over 100 tenants came together for the rally, which was held outside the DC Chinatown complex. Approximately half of Chinatown’s remaining Chinese population lives in the 302-¬unit Museum Square building. Most tenants are Chinese immigrants; the rest are African¬American. The owner plans to tear down Museum Square to build 850 high rise luxury condos. 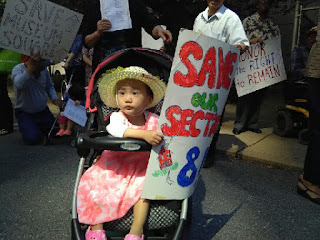 Are the Chinese being evicted from DC Chinatown? That is the question and the concerned shared by many long term residents of the community. “I don’t call it Chinatown anymore I call it downtown; I don’t know why they have Chinese letters on all the buildings. I remember when we used to be able to walk down H street to get rice, vegetables, and everything else we need. 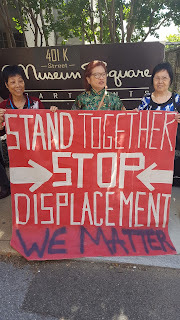 Now most Chinese business has been priced out” stated Museum Square tenant leader Jenny Tang. Last October, the owner declined to renew the federal subsidy contract that kept the building affordable for low income tenants Under federal law, tenants were issued “Enhanced Vouchers” by HUD which provide them a legal Right to Remain in their homes. 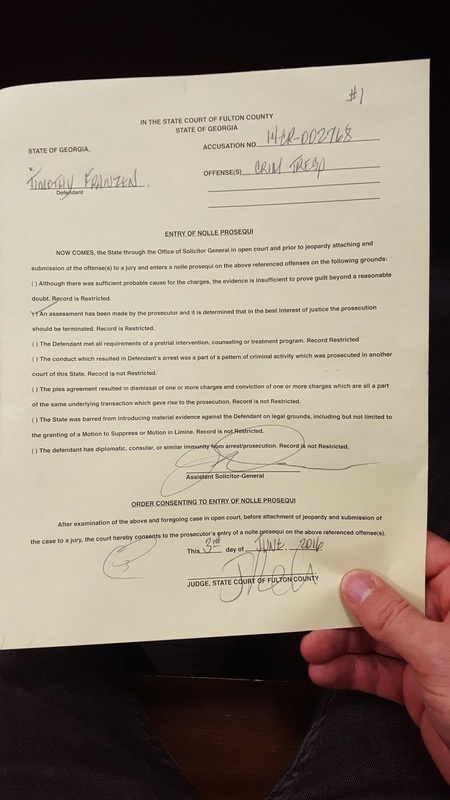 Initially, the owner refused to accept the vouchers, but relented under pressure from Museum Square tenants and their allies. Although the owner now accepts vouchers, both the owner and the DC Housing Authority continue to encourage tenants to move. HUD officials on Monday refused to change their policy which recognizes a tenant's right to remain but requires the tenants to personally enforce that right. This forces low-¬income tenants to contend with well financed real estate developers and owners. "The struggle of Museum Square tenants has put a spotlight on the issues faced by low income tenants and communities of color across the nation,” commented NAHT President Ed Lucas. 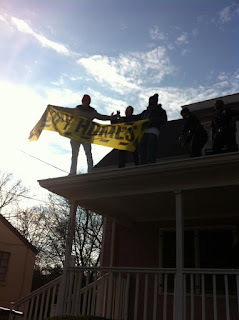 Almost four years ago Occupy Our Homes Atlanta, now rebranded as the Housing Justice League, launched an ambitious campaign to liberate vacant homes in Atlanta. The first campaign we launched was led by Michelene Meusa, Renika Wheeler, and their two amazing children Dillon and Jahla. After occupying the house for seven days M&T bank flew down executives from New York and worked with Atlanta Police to evict the family despite community support. Renika and Michelene refused to leave and several other supporters, including myself, refused to leave as well. We knew that arrests were very likely but we also knew that half of the homes in the neighborhood were bank owned vacants that had been sitting empty for years while the Atlanta homeless populations was multiplying. It was a time for drastic measures. 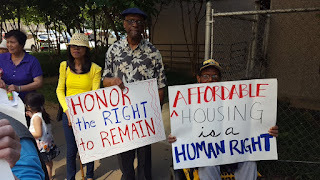 In the end four of us were arrested but we managed to bring a lot of media attention to Michelene and Renika's struggle and the housing crisis facing thousands of Atlantans. I'm happy to report that many people in the movement stepped up to support Michelene and Renika and they have been living in a home with their children, totally self sufficent, for years. After that campaign we quickly won our next two home liberations and we started to see more people around the country use that model. The four of us arrested were charged with criminal trespass. Eventually everyone's charges, except mine, were dropped. Over the years I've had countless court dates related to this charge, some of which I showed up to and no judge was present. There have been two separate occasions in which I was arrested on a failure to appear warrant, both times were extremely suspicious as they were right in the middle of protests or organizing meetings. 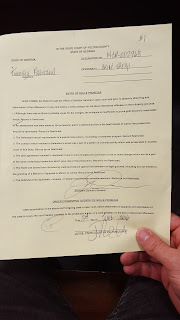 Another time I was detained for over an hour after being followed by police after an organizing meeting. The officer claimed I didn't appear at a court proceeding related to the charge, thankfully I was able to call my lawyer and a friend from the back seat of the officers car before they attempted to book me. Today I had to go to court, it was time to set a trail date. It's rare that I get any kind of pleasant surprise from the state but today I did; they decided to drop the case all together! In the paper work they cited: " An assessment has been made by the prosecutor and it's determined that in the best interest of justice the prosecution should be terminated"
I have no doubt that a major factor in this outcome is the fact the cities best movement lawyer, Mawuli Mel Davis of the Davis/Bozeman lawfirm represented me. Despite the difficulties this specific arrest has brought me over the years I want to be clear that it was 100% worth all the trouble. Doing the right thing can never be wrong and the positive outcomes radically outweigh the personal issues I have endured. That being said I'm grateful to close the book on this one. Thanks to everyone that supported me through the process! As the Summer temps heating up so did social justice fun with the youth in Peoplestown. 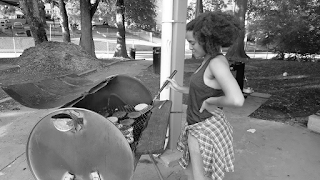 At 4:00pm the grill was fired up at the McDevitt Youth Center on Crews Street. The center is the meeting space for the monthly Housing Justice League meeting. As the food began to cook and the park started to smell like a great Atlanta Summer day the youth started to fill-in. It was not long after that plates were served and the park was full of the neighborhoods youngsters. Food was grilled and served for free to all the youth with hungry stomachs. At the end of the day we served nearly 50 youth and collected contact information for 50 young people in the neighborhood. All of which were invited and reminded to join our new and growing youth space at the monthly meetings. 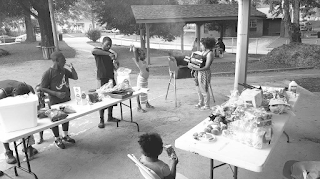 The BBQ was the first step to a Summer of Social Justice for Atlanta’s youth! The next Housing Justice League mass meeting, which will include a youth break out, will be held Tuesday June 21st, click here for details!